Your book looks amazing and we are planning to order it for our 10 year old daughter. My question is what reasonably priced pack or packs of legos you would recommend to purchase to ensure she has some of the less common pieces that might be in your designs. We have a tub full of random legos from maybe 6 or 7 smaller sets since 2010 (mostly 3-in-1 vehicle sets) set 5560 (tub of bricks) and the lunar base sets from the 1970s ( sets 462, 493 and 497) and set 354 (the police heliport) and probably some other stuff too. And she has the Lego Architecture New York Skyline and Eiffel Tower. We can’t really afford the Architecture Studio set but I’d love for her to be able to build the models in your book. Any thoughts on what to buy? Thanks much! 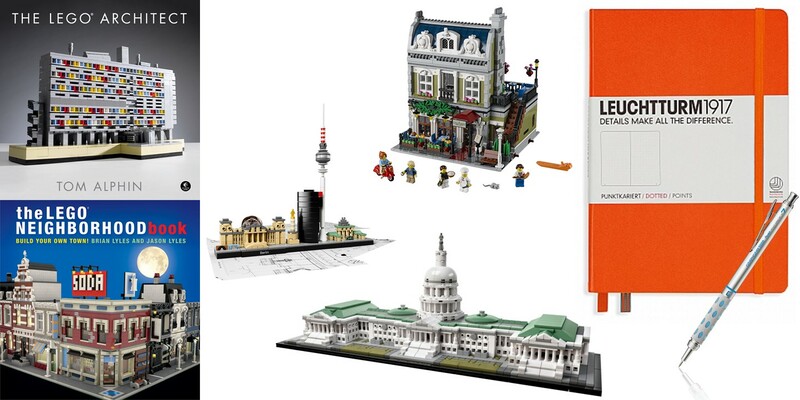 You can build many of the models in the book using the LEGO parts you already have. You will need to make some adjustments and be flexible with colors. Even if you have a pretty small collection, you ca use the book for inspiration, and build something similar with the parts you have. Good luck!